One of my biggest goals this year is to develop a $40,000 stream of passive revenue. Achieving this will give freedom from the regular “hamster wheel” of having to spend most of my time and energy just trying to make money to maintain my lifestyle. 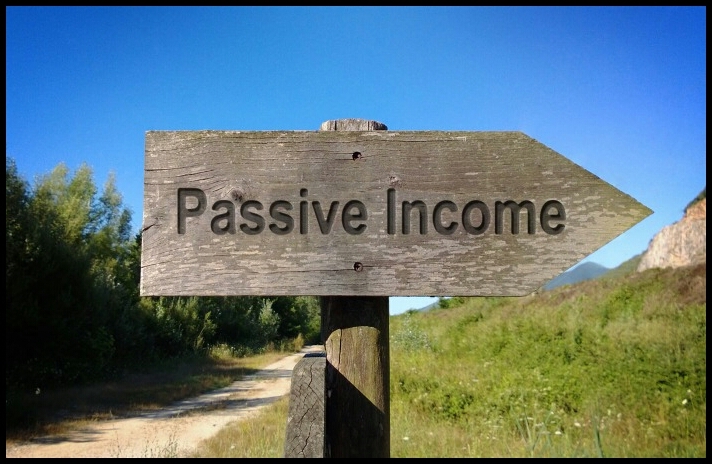 To be clear, I’m still fully intending to work a significant amount most weeks and earn more than just that base amount of passive income. However, personally, I able to much more fully enjoy my work when I do not feel stuck or forced to do it. When I have the freedom to work as much as I want I tend to work more, be less stressed, and find more joy in it. Because of that, this year I intend to free myself from the “daily grind” and discover financial freedom. Here’s my plan to do so. My business is currently earning about $2,000/month with me working. I’m working to develop our business systems so that daily operations are no longer dependent on me. I love my business, and I will certainly stay involved with operations, the employees, and customers, but I don’t enjoy being the lynch pin that holds everything together. My business continues to grow at a fast rate, so I’m confident that by the end of the year it will bring is $2,000/month without my involvement. Any work that I do will bring in additional income. My first book is scheduled to launch by the end of February, at which time I expect it to begin bringing in $400 – $900/month. I plan to release my 2nd book later in the spring, and quite possibly a 3rd by the end of the year. This collectively should bring in no less than $1500/month. After extensive research, I’ve learned enough that I feel confident I can earn significant monthly income by developing niche websites and running display ads on them. I’m planning to build at least two such websites this year, and expect to earn over $800/month combined from this. I currently earn am earning about $300 – $400/year from completely passive Youtube revenue. This is from videos I created years ago and haven’t touched since. I intend to create at least one new YT video/week this year, and bump that number up to at least $100/month. Added all together, that’s roughly $5000/month or $60,000/year in passive income. Obviously, that is more than $40,000. My goal is $40K, but I’m intentionally planning to blow that goal out of the water. That way, even if one or two of these revenue streams don’t quite succeed, I’ll still be able to meet my goal. To be clear, I won’t earn $40,000 passively this year. This year I’m developing the income streams so that by the end of the year they’ll be producing that much (for future years). This year is going to be an extra lot of work, but in future years I expect to reap the benefits.